Spirit Stick – 7055 Inc.
Each civilization holds their own beliefs regarding the spirit. 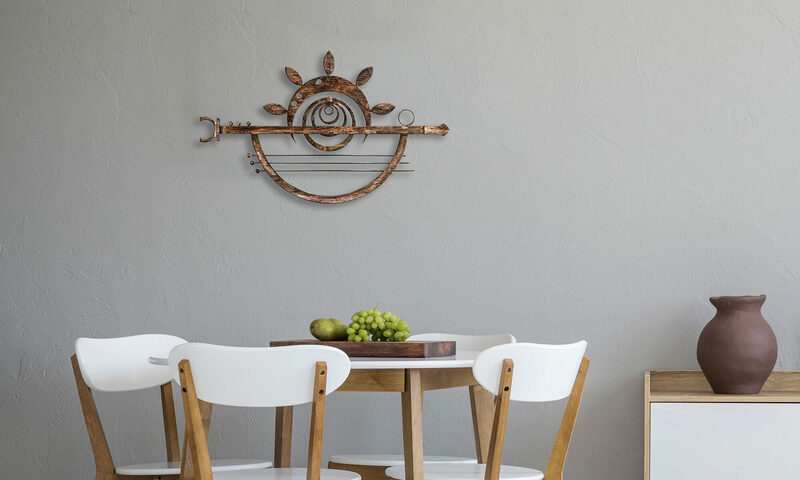 This rustic home wall decor with modern elements tries to capture its universal essence. Made with high-quality steel, this wall art is reminiscent of mythical folklore and musical instruments in the ancient kingdom of Atlantis. It’s designed with a distressed copper finish to lend authenticity to its inspiration. Hang this home wall decor in your bedroom, living room, or dining area to give your personal space depth and texture that encourages conversation! Add this to your cart right now!